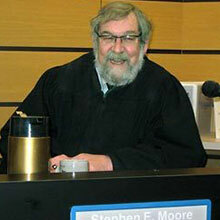 Have you been charged with a crime in Lynnwood, WA? Hi, my name is Schoen Parnell. 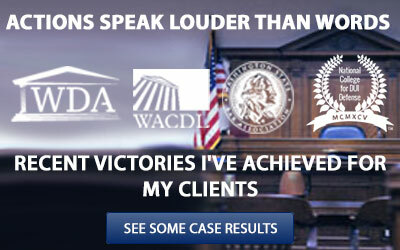 I’m a Lynnwood criminal defense attorney and I’ve been defending clients in the Puget Sound area for over 16 years. My Snohomish County office is conveniently located in Lynnwood just a few minutes from the municipal and district courthouses. I understand this could be one of the most stressful events in your life and I’m here to guide you through this process. A misdemeanor or felony conviction can have a devastating impact on your livelihood and I won’t take the matter lightly. I became a lawyer because I genuinely like helping people and just happen to be good at it too. I personally represent all of my clients unlike many large law firms or attorneys who will send a “stand in” when it counts the most. Not on my watch! All of my clients have access to me directly, when you call my office or cell it will be me who picks up the phone. I have advanced training as a DUI lawyer and have received numerous certifications for the same courses police officers attend. I also have in-depth skills in areas relating to gun rights or crimes where a firearm is used in self-defense. Over the years I’ve built a strong network of resources through various legal defense associations I hold memberships with. What does this all mean for you? It means if you hire me, you will be represented by an accessible lawyer who has the right experience, training and strategies to get you through this troubling time. Don’t just take my word for it see what others have to say about me and some of the case results I’ve been able to achieve. 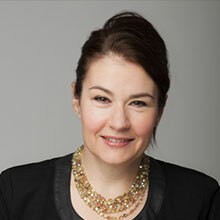 Don’t delay any further, call me today so we can discuss your case and what options are available to you. If you’ve been arrested in Lynnwood and are being charged with a misdemeanor or gross misdemeanor your case will be heard in the Lynnwood Municipal Courthouse. 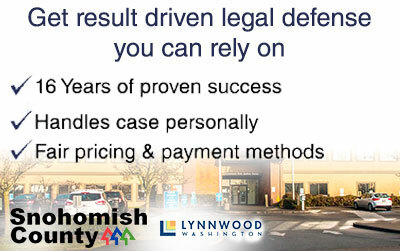 Lynnwood contracts with Zachor and Thomas a private law firm to prosecute it’s criminal cases. This law firm generally responds to the city’s complaints fairly quickly so it will be important to speak with a lawyer about your case as soon as possible. However if you are arrested by a WA State trooper or Snohomish County Sheriff Deputy your case will be regarded a State case and will be handled by the Snohomish County Prosecuting Attorney’s office located in Everett. 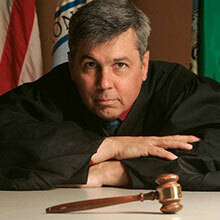 Misdemeanor state cases are held in the Snohomish County District Court South Division’s courthouse located just a few minutes away from the municipal courthouse. 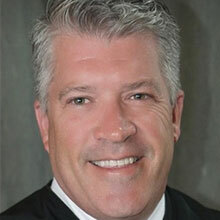 Felony state cases will be held in the Snohomish County Superior Court in Everett. If you have any questions about your arrest in Lynnwood, WA don’t hesitate to reach out to me anytime day or night.